While the holiday season may bring a hustle and bustle to the Park City area, the real estate market during this time can tend to slow down. If you’re planning to sell your home over the next few months, there are a few factors to consider to take full advantage of the winter market in Kamas, Oakley, Midway, Heber City, and Park City. Remember, a home that shows well and is priced well can succeed in nearly any market. One of the best things you can do as a home seller is to consult with your local real estate agent and we at High Country Properties are here to help! Do: Work with a real estate agent Teaming up with a real estate pro is always wise, but especially during the winter season. You need someone in your corner who has navigated a home sale before and knows what to expect from the market during the holiday season. Don’t: Ignore the market Know that the real estate market will differ by community. These differences impact the sales price, number of days on the market and homebuyer traffic. Recognizing what’s going on in the market will not only help you succeed in selling your home, but allow you to have a more realistic idea of the timing of the sale. 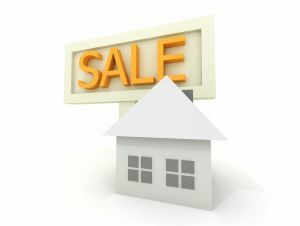 Don’t: Overprice your home Every Utah home seller has a personal connection to their property and thus, believes their home is worth top dollar. However, remember that the price is set by the local real estate market. An overpriced home will stick out as those who can afford it will recognize it doesn’t quite match up to others in the same range. Selling your home during the winter months is possible and I am happy to help set you up for success. Contact me today with any questions about selling your Park City area property!